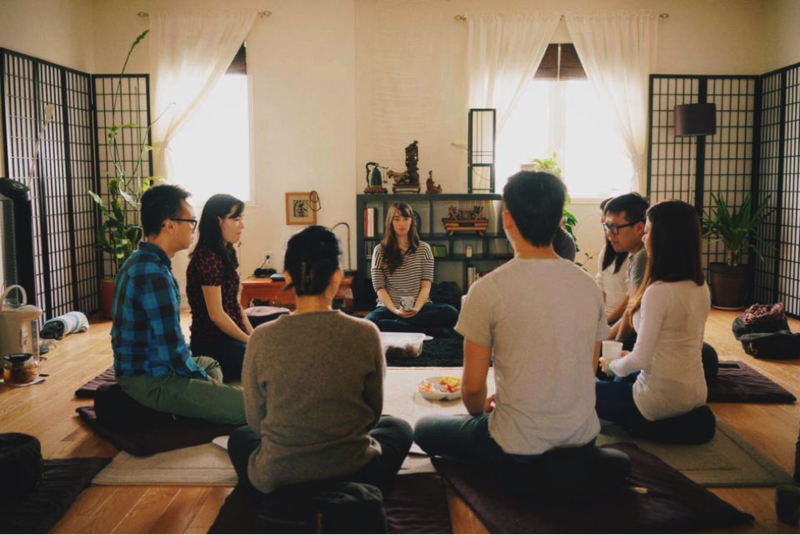 A “mindfulness” colleague of mine was recently offered a position to lead meditations on a mobile meditation bus in New York City. She brought her concerns to a group call. My first instinct was to plant that van right on Wall Street! Anything that gets these people to pause and de-stress can only benefit society. As this article details, Tricked out meditation studios on wheels are all the rage in relaxing on the go, to offer time-starved and stressed Americans a few minutes of calm and meditation instruction. Similar to food trucks, these mobile studios go directly to the consumer. Who can argue with that? In our fast-paced society, we are starved for stress-reduction tools and spaces to center ourselves and restore our humanity. And for that reason alone, take a break, find a mobile unit, if necessary, and breathe. Or, take a walk, sit on a bench, or find a quiet space in the office to sit. Whatever it takes to pause and be still in silence. For me, a mobile meditation van presents an interesting inquiry. How is “meditation” and mindfulness, as a secular process and product, different from the wisdom practice steeped in a philosophy of compassion? As a process, breathing, and secular mindfulness has its roots in deeply-rooted scientific methods laid out for decades by Jon Kabat-Zinn. This process supports a complete body scan to practice tuning into the sensations of our body. With practice, we become more mindful in our as-lived experiences. The science behind this work has repeatedly shown a reduction in stress, a slowing of our reflective self, and better regulation of emotions, which often moves into our work and relationships. Science has validated this process with greater knowledge about our nervous system, emotions, and even neuroscience. The benefits include reduced rumination, stress reduction, boosts to working memory, focus, less emotional reactivity, more cognitive flexibility, and relationship satisfaction. This is how many of us have come to know mindfulness. Ironically, Jon Kabat-Zinn’s scientific results have given rise to mindfulness-as-panacea for anything that ails us. And regrettably, the scientific method strips out the very core that can move us beyond the roots of our stress: to penetrate the self-delusion that impedes us from accepting the impermanence of change and suffering. Unfortunately, in America, any process can be reduced to a product at breakneck speed. This is where our mobile meditation van surfaces. 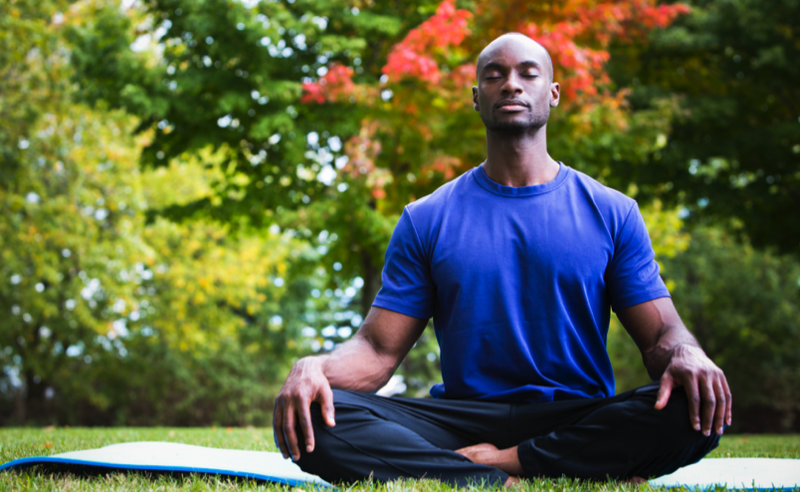 In a movement termed McMindfulness, many purveyors have begun to capitalize on ways to de-stress our fast-paced lives. Just as McDonald’s pioneered fast food that lacked the nutrients of a well-balanced meal, McMindfulness offers nutrient-deficient products masking as culturally-rich, practices. If consumers consume products without ever moving beyond the need for consumption, they have merely found a materialistic practice – and justification – for not changing. This is the very antithesis of the ethos that grounds these practices. Marketing execs have hijacked Mindfulness as the silver bullet to rebrand almost every human dilemma. Mindful leadership, mindful parenting, mindful performance, mindful listening, mindful learning create a menu of “trendy” products. Some branding pros even peddle mindfulness as the technology to disrupt our addiction to technology. In general, if consumers consume products without ever moving beyond the need for consumption, they have merely found a materialistic practice – and justification – for not changing. This is the very antithesis of the ethos that grounds these practices. Many of our habits and compulsions are reactions to change, or loss of control, which is pervasive during these times of constant disruption. Until we get to the root of change – and our relationship to it – mere coping to survive may make us feel good at the moment but will likely impede us from reaching a new level of awareness. When viewing meditation, mindfulness, and breathing, it is best to attain deeper awareness before consuming it as a product; otherwise, your expectations or desire to achieve some result, goal or “bliss” state will produce heightened anxiety, stress, or suffering. Products can be beneficial for informed consumers. This is a good rule for most consumption: news, art, entertainment, conversations, food, exercises, etc. For meditation and mindfulness, however, being an informed consumer involves a bit more exploration beyond materialistic products or secular processes. Making mindfulness and meditation more secular need not exploit or expel the cultural wisdom that informs its principles and practices. And, including these cultural and ethical foundations need not require signing onto a religion, or belief in a deity. We can simply appreciate a philosophy of life. The Buddhist Pāli Canon at the heart of mindfulness honors sentient beings with compassion. Through direct experience and mindful breathing, we bring our thoughts, words, actions, intentions, effort, and focus on body and mind into harmony with nature. Sitting, breathing, and pausing that interrupts our fleeting projections onto reality, serve as important moments of “emptiness” or freedom to encourage the emergence of non-reactive awareness. We begin to experience the space between observation and action as moments of freedom. With grounded practice, we become aware of the fear and greater suffering within and around us. We open ourselves to more compassion for ourselves and our common humanity. We view and confront our three poisons of anger, greed, and ignorance with compassion and humility to loosen their grip on us. We practice the eightfold path not to achieve status or wealth, or for greater control, but to see through our fragmented selves and learn to connect to our common humanity. Expanded awareness invites us to view ourselves and the world differently with greater freedom and wholeness. Without the cultural ethos to cultivate compassion and wisdom, we will enter our own mind confused, and unprepared to peer into the nature of reality. With the uncertainty of today’s world, we seem to be grasping for more answers, or some quick-fix. And yet the very wisdom we seek is within us. At this time, more than any other, we must cultivate that wisdom from the culture that gives rise to mindfulness. Posture. For instance, in many secular practices, posture is often an afterthought. The focus on the body is often limited to being still. Yet, in the tradition, the seven-point posture is designed to become intentional; to support the balance between being at-rest and being alert. When practiced, that intention and balance can be brought to our as-lived experiences. Body. Additionally, good posture finds the body demanding of our senses and our mind. In union with our mind, we become aware of the body newly. Sitting comfortably has us unaware of the body’s demands and the mind wanders elsewhere. Three-Jewels. Much of the wisdom of the culture comes from three jewels: The Buddha (mentor), the Dharma (teachings) and the Sangha (community). Sangha. In America – with our scientific/secular process and commercialized products – we ignore or deny this last jewel. We’ll pay top dollar for teachers, and seek out teachings, but then go off on our own to learn, struggle, and suffer. Without Sangha, or a community of learners, we become deluded into thinking we, alone, can “achieve” this as a goal or destination. We become trapped by the very separate self and thinking that found us seeking out mindfulness. To grow our wisdom is not a solo project or mission. It involves a commitment that embraces mentoring, teachings, and community to learn a new way of life and living. Wholeness. These cultural legacies – often stripped from our scientific processes, or secular products – offer us a whole view of reality. This awareness alleviates the need for expediency and comfort in the face of fear and suffering arising from disruptive change. It takes a philosophy to form principles and practices to navigate the now-now-now-ness of everyday life. Freedom. With time and practice, we begin to experience true freedom not with greater security or control, but by honoring the impermanence of the life cycle: from rocks, trees, and animals to love, trust, and anger. Impermanence. We begin to see today’s mistake as tomorrow’s discovery; yesterday’s itch may be today’s insight. There’s nothing permanent to grasp, cling, or hold onto. Openness. We learn that letting go opens us to taste what’s next and to allow that life cycle to arise and pass. Lacking this wisdom-container for life, we are left to the whims of any process or product that comes our way. We grasp, cling and desire greater happiness and satisfaction in a world of fleeting experiences. So then, there’s no actual reason to sit, only to sit; there’s no reason to pause, only to pause. This begins a practice to expand our compassion. To access this wisdom and philosophy, I offer some resources to practice and to live the practices. Remember, this practice and journey is not to believe but to discover. Engage these ideas in direct experience for yourself. Buddhism Plain and Simple: The Practice of Being Aware, Right Now, Every Day, by Steve Hagen. (I began with this book shortly after its publication. It demystifies the Buddhist philosophy in an accessible way). Finally, the next time you see a food truck, order food if you are hungry. And if you see a meditation van, step inside if you are interested. But remember … your practice comes from wisdom not found anywhere except within.